Last Saturday hubby picked me up from work with take-out Pad Thai. I took out my camera because I just had to document this and he said "make sure you don't get anything too identifyable, I don't want to be charged with impaired driving". I tried my best. 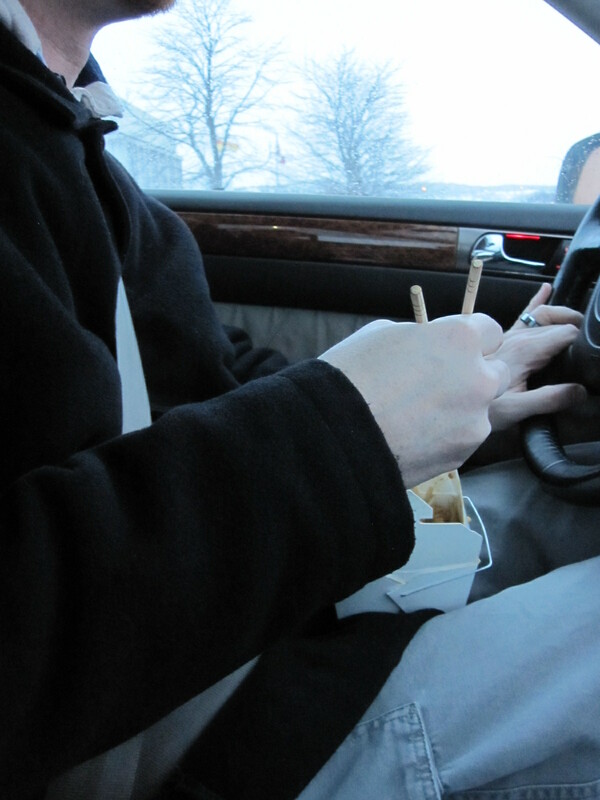 The thing is, he's probably a better driver while using chop sticks than most people are driving with cell phones. Then, I went to work on finishing a guest post for the lovely Adrienne of The Rich Life (on a budget). 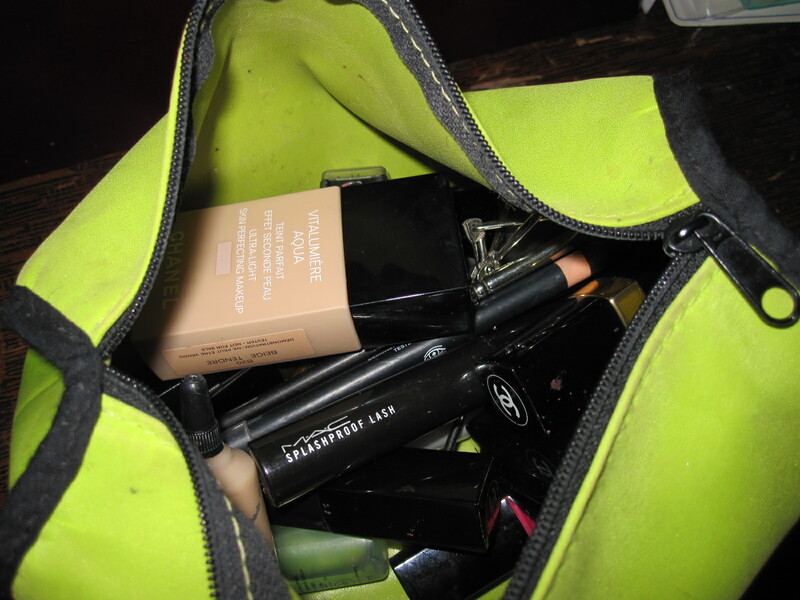 She wanted the scoop on when it's worth it to spurge on beauty products. Be sure to check it out tomorrow (Tuesday). Then, come back here because I promise I will be posting again! Stay tuned for some skin care tips and my daily skincare regime. If you have any questions on make-up or skincare, products or techniques, leave them in the comments and I will be happy to blog about them. Also, what are your fav beauty and skincare products? Anything you've tried and hated? I had a friend in college who could drive with his knees and eat a big mac lol. He only spilled a bite once, lol. It was quite impressive. I don't have a beauty routine. I use only vegetable soap on my skin and hair and it works fine. I hate to put chemicals on my skin, I feel like I'm covered with plastic. Do you have any tip on some veggetable product? eating with chopsticks it's impressive...driving, that's amazing!! I completely understand not wanting to put chemicals on your skin. I don't have a lot of experience using natural and vegetable product personally, but let me do some digging for you! I know that I've read some surprising facts about the chemicals in Burt's Bees products, which claims to be natural line, so you can never be too careful when researching products. Your hubby is very, very talented. I won't tell you about all the food I would spill if I ate in the car while driving.